Does having garden lighting make your property more sellable…let’s see. Does garden lighting help sell your home? Are LED's good in light fittings? 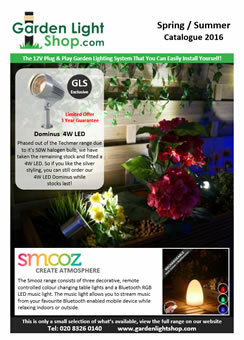 Are garden lighting kits easy to install? A garden is not just for summer. Gardens can and should be enjoyed all year round. While in the winter your garden may seem bare, cold and desolate; it certainly doesn’t have to be. Win a Roberts Radio Play. Simply guess how many jelly beans are in the jar. Paypal are offering 0% APR for 4 months on any purchases over £150 with any online store that uses PayPal. Now the evenings are drawing in and the clocks going back in a little over a weeks time, it is time to adjust the time setting on the Techmar Timer Sensor.